This year Maurice Sedwell, Savile Row tailors, are proudly crafting an Ultra Bespoke suit for the winner of our 8th Future Leaders Award who will commission the suit according to her own style and needs. The foreword in luxury, style and elegance, Maurice Sedwell is one of only three tailoring houses on Savile Row to exclusively create totally bespoke suits for their customers. Unlike at most other tailoring houses, their customers don’t simply order a new suit, they commission a sartorial image through a consultation process with highly skilled tailors. From the choice of cloth through to such details as the number and positioning of pockets and the shape of lapel, Maurice Sedwell customers have the freedom to design the suit or garment which will meet her (or his) needs entirely. It is not just the perfect fitting of cloth to the body which is the hallmark of Maurice Sedwell – it is that indefinable element of style. Every single suit is individually designed, hand cut and hand tailored to the highest standard attainable. Established in 1938 and incorporated on Savile Row in 1964, its reputation for delivering quality is as solid today as it ever was. Politicians, captains of industry and international business people from all over the world make their way to Maurice Sedwell with the knowledge that they will be dressed to perfection. Maurice Sedwell has cherished its female customers for decades. In fact, over 25 years ago it caused a stir when ladies’ garments were placed onto mannequins in the windows of its Savile Row store. I enjoy the flexibility to be creative and opportunities to design outfits in a vast array of colours, textures and fabrics. Women bring a sartorial freshness to the boardroom, whereas men tend to conform to a traditional image. They express their stylistic needs in a way that makes my job more desirable and encourages me to give them more than they expect from an outfit. 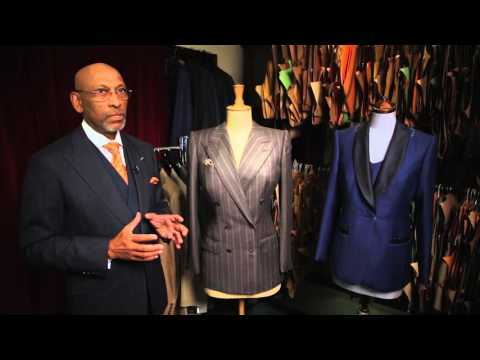 A Maurice Sedwell suit should last at least ten years and can be adjusted to accommodate figure changes, renew linings and adjust lengths in response to fashion changes. To find out more about Ladies Tailoring at Maurice Sedwell visit their website and please do not hesitate to contact them with your queries.